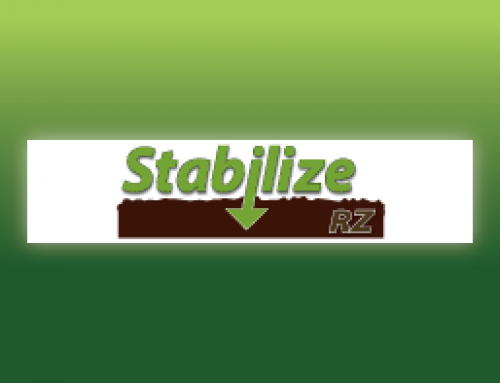 Coastal’s Advance family of products offers growers the opportunity to maximize yield potential by giving their crop the advantage for early season growth, strong root development and improved plant vigor. Advance products, which contain a blend of natural carboxylic acids, aid in solubilizing nutrients for better availability, absorption and uptake. Virtually any crop needs one of the Advance products at planting, whether a starter program is used or not. 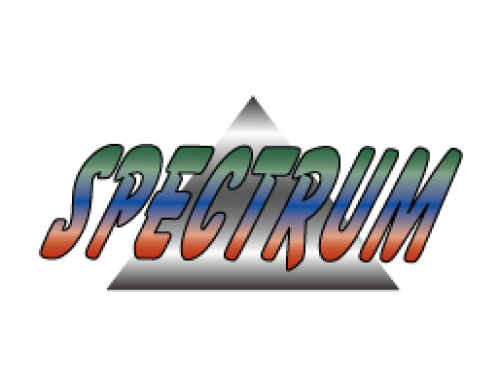 Here, we give you a brief description of all three Advance products. 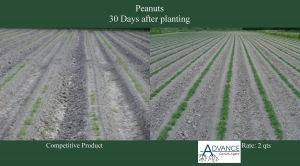 In addition to the natural carboxylic acids which enhance nutrient solubilization and uptake, Advance Growth Agent contains a clean, low salt 6-24-6 starter fertilizer that gives young crop seedlings a boost of important nutrients for a strong start, and also includes a micronutrient package needed for plant vigor and development. 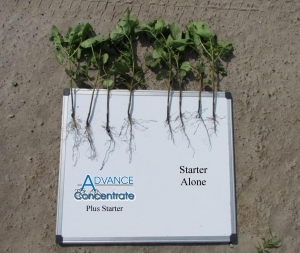 Advance is seed safe and well-suited for most crops as an in-furrow, banded or side-dressed application at or just after planting or at emergence. 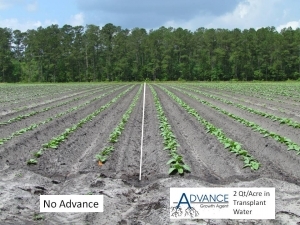 Advance is especially recommended for tobacco transplant water and for peanuts, cotton, corn and soybeans in-furrow at planting. It can also be used in drip applications for vegetable crops. Advance Concentrate has the same natural carboxylic acids as Advance Growth Agent, only in a concentrated form with no starter carrier. 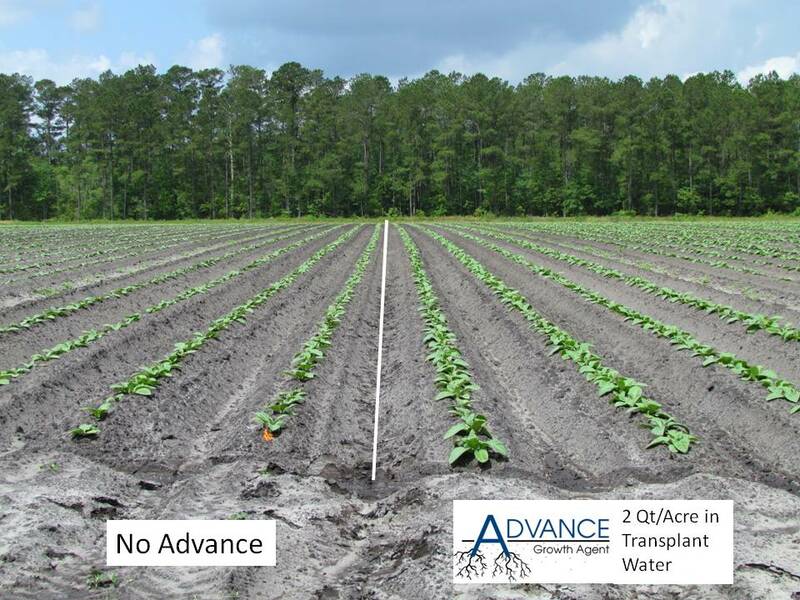 Advance Concentrate can be added to any starter fertilizer program or can be used alone to make nutrients already found in the soil more available to young plants. 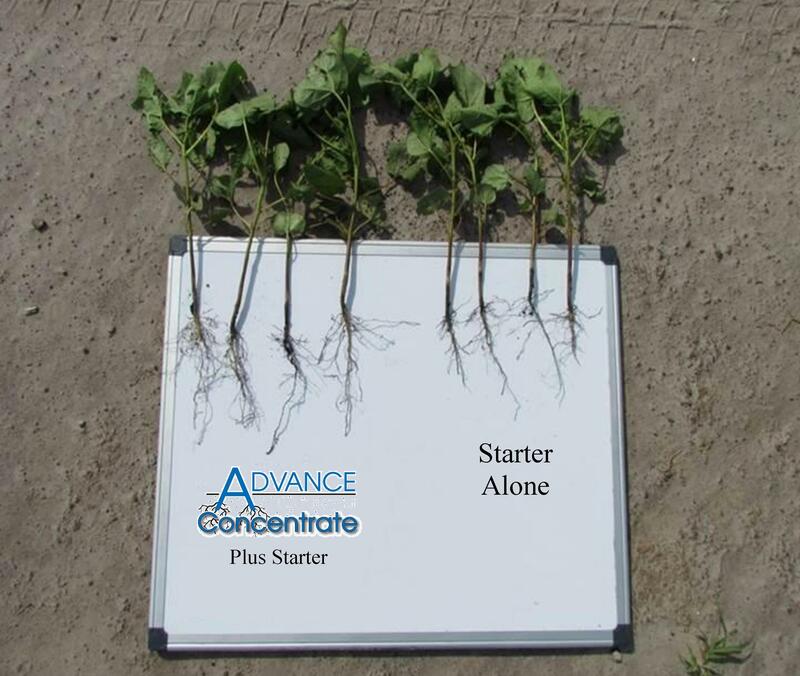 Advance Concentrate works well for most crops primarily as an additive to existing in-furrow, drip or 2X2 starter programs. 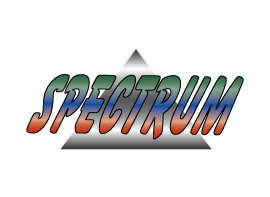 It is widely used in cotton to increase yields. 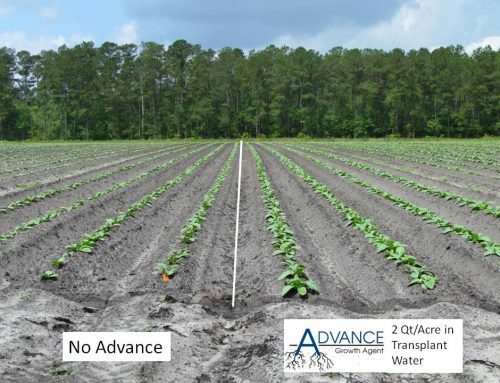 As an added benefit for vegetable drip applications, Advance Concentrate will keep drip lines and emitters clean by dissolving mineral deposits. Designed for use in corn, Advance LCO combines the nutritional advantages of Advance Concentrate with the power of LCO Promoter Technology®, a root growth promoter. Like all Advance products, Advance LCO mimics the way nature solubilizes nutrients for absorption and uptake. The combined benefits of Advance and LCO® lead to improved plant health, better utilization of nutrients and higher-yielding corn. 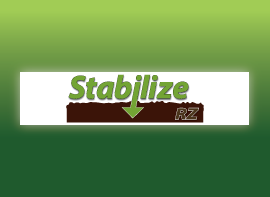 This flexible, easy-to-use product can be added to your in-furrow or 2×2 starter fertilizer program or can be used alone. For more detailed information about Advance products, click on the links below to visit our product pages and information sheets. For specific recommendations for your crop, contact a Coastal AgroBusiness representative at one of our convenient locations.